Lou Mayo has over 20 years experience in program management, supporting NASA and NOAA including over 10 years managing efforts for the NASA National Space Science Data Center and the Space Physics Data Facility. He has conducted research into effective management and employee motivation techniques for high technology environments. Lou has over 20 years experience in planetary research working on special problems concerning planetary atmospheres. He served for 11 years on the Voyager IRIS and Cassini CIRS teams. He has over 15 years experience developing and implementing space science education programs on both regional and national levels and is a professor of astronomy at Marymount University and member of the DC Space Grant Consortium. He has authored numerous articles on astronomy and astronomy education and is a frequent speaker on space science and astronomy for the public. Timothy E. Eastman, space plasma physicist, is known for discoveries of the low-latitude boundary layer (LLBL) and gyro-phase-bunched plasmas. His research interests have included space plasmas, magnetospheric physics, plasma applications, data systems, and philosophy. He developed key foundations at NASA Headquarters and the National Science Foundation for major international and interagency projects, including the International Solar Terrestrial Physics program, the interagency Space Weather Program, and the Basic Plasma Science and Engineering program. 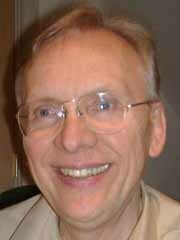 Dr. Eastman has published over 100 research papers, primarily in space plasma physics, but also in data systems and philosophy, and has been a member of the American Geophysical Union, the American Physical Society, and IEEE. He was lead editor of a book in physics and philosophy entitled “Physics and Whitehead “(SUNY press, 2004, 2009). As a founding member of the Coalition for Plasma Science (www.plasmacoalition.org), he continues to serve the plasma science community through education and public outreach. In 1994, Dr. Eastman initiated both the newsgroup for plasma sciences at sci.physics.plasma and a Web site for all plasma science and applications, which he has managed for the past decade at www.plasmas.org. He is also founding member and Research Fellow of the Center for Philosophy and the Natural Sciences at California State University, Sacramento. Dr. Borne holds a doctorate in Astrophysics from Caltech. He is a well-known and published astrophysicist with over 30 years of research in the field of extragalactic astronomy, studying the dynamics and evolution of galaxies. He also has extensive knowledge and experience in large science data processing and archiving systems, including expertise in science data management, distributed interoperable databases, and data mining. He is an experienced program manager (with experience managing large NASA contracts), proposal writer and proposal strategist, and advisor to numerous federal agencies in areas related to data management and data mining. In addition, he is an outstanding speaker and trainer. Dr. Borne is currently an Associate Professor of Astrophysics and Computational Science in the Department of Computational and Data Sciences at George Mason University. He teaches undergraduate and graduate level courses in Astronomy, Scientific Databases, and Data Mining. In addition, he is Adjunct Associate Professor in the Database Systems Technology Program at the University of Maryland University College, he is a senior scientific member of two large astronomy projects (the Virtual Astronomy Observatory, and the Large Synoptic Survey Telescope), and he is a frequent public speaker and advocate for improving STEM (Science,Technology, Engineering, Math) education. Dr. Borne is an officer and board member of ARIES Scientific Inc., a member of the Executive Advisory Board for Bridge Dataworks LLC,and a member of the Educational Advisory Panel for the Deep Space Adventure Gallery at Adler Planetarium in Chicago.